Workflow Management Software helps in coordinating interactions between employees and ensures that the flow of process and tasks are kept in sync. You can use this software set up and monitor a defined set of tasks along with maintaining its sequence. Many workflows contain sensitive information which can’t be disclosed to every user. This software makes sure that each user can see or edit the information which is intended for his or her usage, as role-based control is implemented in this software. The Best workflow management software will provide with a structured approach to manage every task and reduces the costs involved in documentation of tasks along with the manual work involved. It also aids in reducing the resources involved in a task or process, and you can execute/manage multiple tasks in parallel. Workflow process software helps you in continuous business improvement and increases customer satisfaction ratio by completing the tasks with greater consistency and predictability. You can easily transfer the pending tasks to others along with continuous tracking and notification through this software. 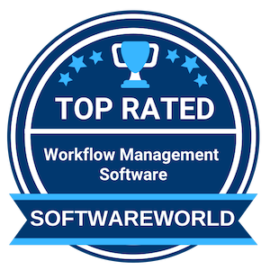 To help you in selecting the best workflow management software as per your requirements, we have brought a list of 10+ best Workflow Management Software. What are the Best Workflow Management Software in 2019? About Wrike : Wrike, Inc. is a fast-growing privately held corporation that gets thousands of new customers on board year after year and shows stable annual growth. Wrike’s diversified, international customer base includes well-known brands, such as PayPal, Hootsuite, Hubspot, Citrix, and many others. Headquartered in Silicon Valley, Wrike is operated by a passionate team that is focused on top-notch engineering and design, usability, and dedicated customer care. About Samepage : With online collaborative tools including team chat, video conferencing, task management, file sharing, real-time document collaboration, and more, Samepage is helping teams of all sizes manage projects and get more done in a single easy-to-use collaborative workspace. Samepage is headquartered in downtown Campbell, in Silicon Valley, with additional offices located in Pilsen, Czech Republic. Our distributed teams span the globe, working together to deliver collaboration software that gets us all on the same page. 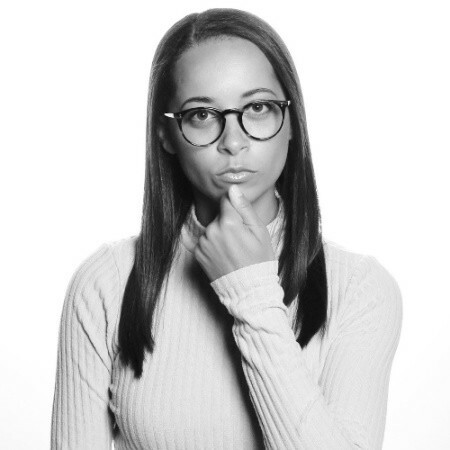 About Process Street : Process Street is a SaaS application for businesses to build and track their processes using superpowered checklists. Businesses need processes to scale. Large companies like airlines have been using checklists for decades to minimize mistakes and save money, but they’re not the only ones who can benefit from them. Process Street brings the power of checklists to any business. Our application lets teams create simple recurring checklists, collaborate around them and track as they’re completed. With advanced permissions, reporting and automation, we make simple checklists superpowered. About Bitrix24 : Highly secure, turnkey intranet solution for small and medium-sized businesses designed for effective collaboration, communication, social networking, business process and knowledge management. Allows better knowledge continuity by moving data from network silos and local drives to a well-protected centralized repository. Wikis, blogs and forums ensure social-enabled knowledge bases for improved teamwork. 5. Quick Base – The easiest way to build your own apps without code. About Quick Base : Quick Base is the platform that businesses use to quickly turn ideas about better ways to work into apps that make them more efficient, informed and productive. Quick Base is used by more than 6,000 customers, including half of the Fortune 100, across a variety of industries and use cases. 6. Karbon – Workstream collaboration that maximizes your team’s output. About Karbon : Karbon is an advanced workstream collaboration platform integrated with your email, ensuring visibility across teams, departments and locations. Karbon combines email, discussions, tasks and powerful workflows to keep everything your team needs to get work done in one place and in context. To learn how you can maximize your team’s output with Karbon, visit karbonhq. About Zoho Creator : Zoho offers beautifully smart software to help you grow your business. With over 40 million users worldwide, Zoho’s 40+ products aid your sales and marketing, support and collaboration, finance and recruitment needs – letting you focus only on your business. Zoho CRM is our flagship service and has won many awards such as the 2012 CRM Magazine Market Leader Award and the 2012 Sleeter ‘Awesome Application’? Award. About ProcessMaker Workflow Software : ProcessMaker develops a leading Business Process Management (BPM) and Workflow software suite for midmarket and large enterprises. The ProcessMaker open source solution has been downloaded more than 1,000,000 times. ProcessMaker has hundreds of enterprise customers worldwide and a network of partners in more than 35 countries around the world. “ProcessMaker – easy to use, flexible, highly customizable. The best part of this software is the form designer. It’s highly flexible and can easily be used to create complex forms. Another thing is the documentation. It’s rich, extensive and very valuable to both beginners and advanced users.” – Frank W.
About UiPath Robotic Process Automation : We deliver the most advanced Enterprise #RPA Platform, built for business and IT. As you strive to benefit in the Automation First Era, your digital transformation accelerates here. More than 2,750 enterprise customers and government agencies use UiPath’s Enterprise RPA platform to rapidly deploy software robots that perfectly emulate and execute repetitive processes, boosting business productivity, ensuring compliance and enhancing customer experience across back-office and front-office operations. “UiPath is really intuitive. It is easy for everybody to see the immediate benefits that RPA has to offer. We could scale up rapidly from a single person to team to department. That is quite amazing in my opinion for technology like this. And that’s exactly what I like about the product. It’s technology made easy.” – Anthony v.
About bpm’online : Bpm’online is a global business software company leading in the space of business process automation and CRM. The company has been highly recognized as a market leader by key industry analysts. Its intelligent platform accelerates sales, marketing, service and operations for thousands of customers and hundreds of partners worldwide. Bpm’online has been widely recognized by key industry analysts, such as Forrester, Gartner, Nucleus Research) and received multiple industry-specific awards. “Bpmonline is supported over a powerful bpm engine. It makes maximun flexibility on sales, marketing and support processes. Also it can be expanded with new applications from its marketplace. In a very short time, a company can be selling with a very productive way. Very easy to use and integrate teams on working them.” – Salvador A. 11. Hygger – Project management tool with built-in prioritization. About Hygger : The Complete Project Management Platform for Agile Teams. Boost your team’s performance with Hygger! Hygger is a simple, flexible, cost-effective solution to take your team collaboration to the next level. From managing tasks to reporting, time and progress tracking, Hygger has everything a team may need to move the project forward. Based on Agile, Lean and Kanban, Hygger stands for visibility, empowerment, effective communication and increased product value. As a team, we embrace the ‘hygge’ philosophy of mindfulness, togetherness, simpleness and comfort. “Trello is too simple. Jira is too difficult. Hygger – that’s what you need. In addition, Hygger has many cool features for small teams (backlog, roadmap, etc.). We slowly introduce everything, and, most importantly, for small teams like us, Hygger is also free! ))” – Artiom B. About frevvo : frevvo is a low-code workflow automation software that helps the customer to automate day-to-day business processes by building forms and designing workflows on the go. An easy to use drag-and-drop interface empowers citizen developers to automate business processes without writing a single line of code. “After searching for years for a capable web forms solution, evaluating probably 20 products, frevvo was the one we selected. Highly configurable, full workflow, geo tracking, PDF overlay, database connector for bi-directional data integration with your favorite ERP, license splitting, optimized for tablets, smart phones, etc.” – Brent W.
» Business Process Management Software - The Business Process Management Software has been evolving through all the years as all the organizations are starting to embrace the digital transformation. The software enables the businesses to model, execute, implement, monitor, as well as optimize the management processes. » Time Tracking Software - Bothered about employees spending too much of their time on one project? Companies use Time Tracking software to build reports of employees working on desired tasks and generate reports based on it.